Nice solid side table. Came quickly too. Add some color and style to your home with this beautiful side table. 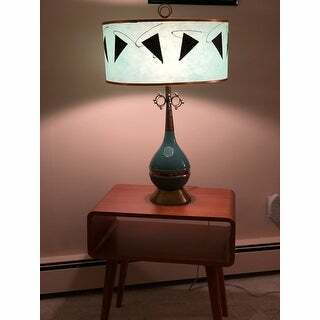 This mid-century piece is made with wood and features a lovely light blue color. Perfect as a nightstand, this table has a charming, minamalist design and is very simple and easy to assemble. SOLID wood, no veneer!! it is hard to find good quality solid wood furniture with sleek design and a reasonable price tag nowadays, so I was blown away by this piece! The two tables I ordered came well packaged as well, and they were easy to set up. In fact, it took me more time to unwrap them than setting them up! I would be *** off if these beautiful tables came damaged while being transported. Let's talk about the design, they could go with really modern pieces, and they work well with mid-century modern as well. I put them next to my cb2 bed and look wonderful together! We love these side tables! Mid-century modern style goes perfectly with our living room and the wood looks true and has maintained it's look after lots of use. I love them and get compliments all the time. Easy to assemble and very affordable. 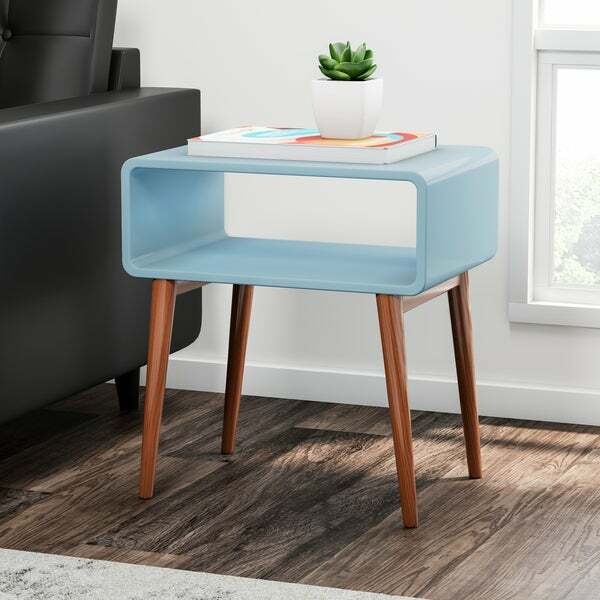 These end tables are adorable and perfect for my mid-century themed living room. Easy to assemble (as you only need to put the legs on) and made with sturdy wood. Only reason I’m giving them 4 stars is that the wood on the two tables are very different in color; not just a naturally found in nature difference in wood grain, almost a slightly different stain. Not a deal breaker, just a bit disappointed. I bought two of these to go in our vacation condo in Hawaii. I also bought the bedding from overstock as well as you can see to match. I love these side tables. 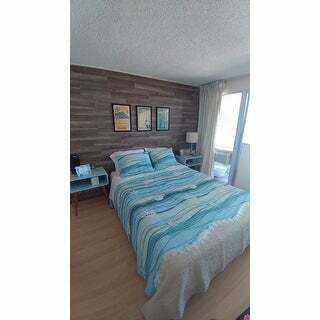 I am in love with mid-century modern and beachy so the combo worked out so perfect. They are well made and very easy to assemble. Light and sturdy. Thank you Overstock for delivering to Hawaii which is not easy to get sometimes! We bought this table thinking it would match our oth t furniture but it was too light. We loved the table so much we decided to keep it anyway, we just used it in a different room. Nice table, you should get it!!! unfortunately i returned this item, it was just way too expensive and the height did not match the sofa i ended up keeping. it is a cute table, just seems like it is not worth the price. you can get a lot cuter ones for cheaper. Came quickly , put together in a jiff. Love it! I put a basket in the center to hold all my junk; ha! Recommend for sure! Sleek, stable, easy to build. Very modern look so overall we are very pleased. This was delivered in very poor quality. The paint was bubbled and the screws were loose in the package scratching the paint on the inside of the table. I returned it for a full refund. I got two of them in white. Both of them don't sit flat, they wobble a little.. Kind of annoying. Minimalist design and product reviews were good. "What is the distance from the floor to the bottom of the shelf unit?" I have the table and it's 16" from the bottom of the shelf unit to the floor. "when are you going to have the blue table in-stock?" "Is that light blue or aqua?" This is light blue in my opinion.